Picking up those pieces is not easy. Samantha Joseph, 16, lost her aunt, grandmother and two cousins on January 12. She is a student, but also heavily involved in the spiritual community and sings in her church's choir. She said people's faith in God had to be strengthened by the devastating natural disaster. 'After the earthquake, people are more religious,' she explained. 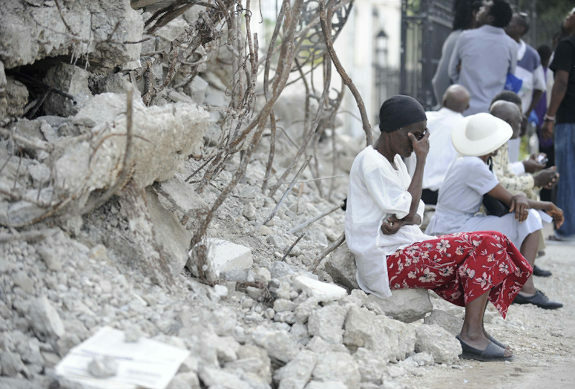 For many Haitians, the memory of the earthquake is still too much to bear. Going to church provides some solace to many, and also the rare opportunity to reflect and cry. But these are not the churches they once were. The majority of the congregants gather under UNICEF tents to worship. Some, like this woman, choose to stay away from the fray and reflect more privately from a distance. "Every one of us will experience suffering. Many of us are experiencing it now. present and close to each one of us. 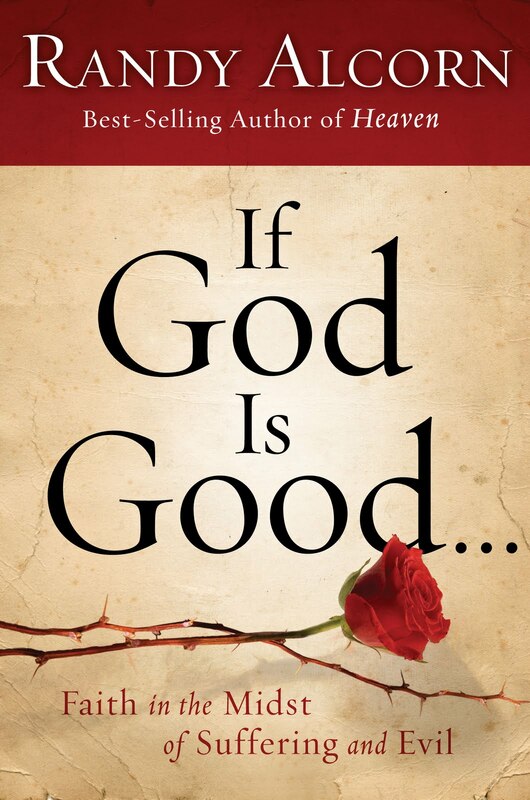 In such difficult times, suffering and evil beg questions about God--Why would an all-good and all-powerful God create a world full of evil and suffering? And then, how can there be a God if suffering and evil exist? 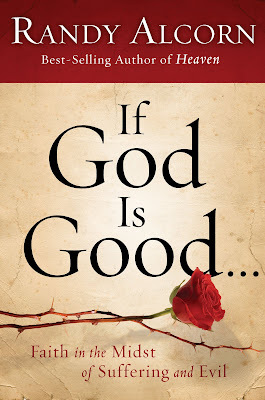 In this captivating new book, best-selling author Randy Alcorn challenges the logic of disbelief, and brings a fresh, realistic, and thoroughly biblical insight to the issues these important questions raise. Alcorn offers insights from his conversations with men and women whose lives have been torn apart by suffering, and yet whose faith in God burns brighter than ever. He reveals the big picture of who God is and what God is doing in the world–now and forever. And he equips you to share your faith more clearly and genuinely in this world of pain and fear...."
My prayers are also with the families of the tragedy in Tucson, Arizona as well as the many families affected by the terrible flooding in Australia at the moment. My friend Sue who has left many encouraging comments on my blog from time to time, has shared much with me through correspondence to give me a better understanding of what is going on at the moment in her beloved country. Sue, you and your country are in my prayers daily. Added: Brazil is now affected by flooding...such devastation...so little we can do but we can pray for this country as well. In an uncertain world full of turmoil and tribulation, heartache and pain, I cling to the comfort of knowing that God knows and His heart is moved with compassion.